For all crochet lovers here is a funky project to try. Ice Queen Cap pattern shared on www.allfreecrochet.com has a detailed instructions about the design. 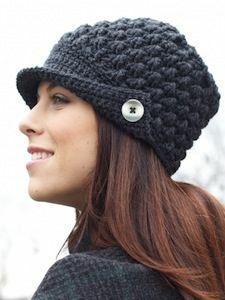 A great accessory that can be worn on cold nights or winter. A button add on enhances the look of the cap making it look like a million bucks! This project requires an intermediate skill set. The pattern shared is in grey shade but you can choose any colour of your choice with a decorative piece like a button, bow or a tiny flower. Get imaginative with the embellishment. This chic trendy hat will surely catch many eyes! Get to the pattern HERE. me to take hold of your RSS feed to keep up to date with drawing close post.